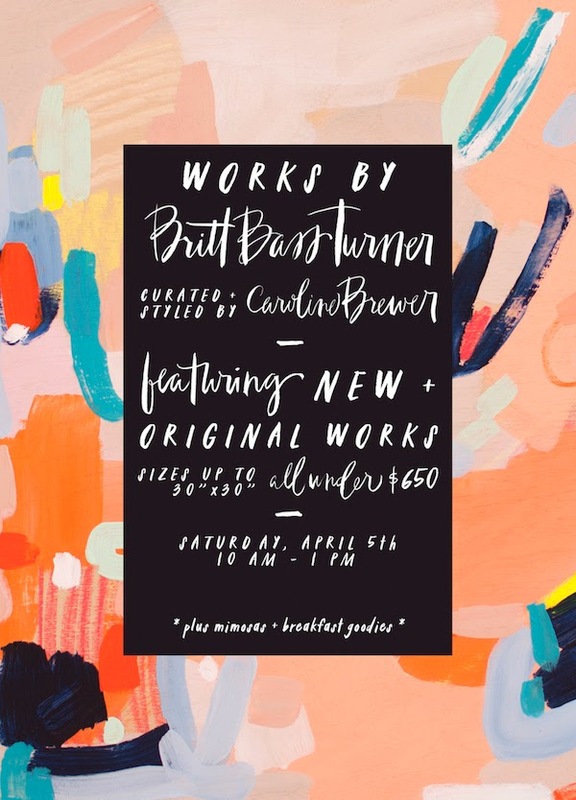 Yesterday's Pop Up Art Show with Britt Bass Turner was a success! It was so much fun to get to host this event in my home and a perfect way to ring in the Spring. Britt's work is so beautiful and unique - seeing it in my space was such a treat and I wanted it all! I will be posting photos of the event soon. And a big thank you to the uber talented Chelsea Petaja for her beautiful lettering on the invite! !